This season there will be some wonderful giveaways on the Yankees Promotions & Giveaway Schedule 2017 giveaway games during the regular season. The New York Yankees Promotional 2017 giveaway games will include Yankees Replica Batting Practice Pullover Night, Yankees Camo Cap Day, 1977 World Championship Fan Ring Day, as well as Yankees Drawstring Backpack Day and YankeesSunglasses Day. Here is a look at the Yankees Promotions 2017 | Yankees Giveaway schedule 2017! There will be ten Yankees 2017 Bobbleheads giveaway games during the regular season. The 2017 Yankees Bobblehead giveaway games will include Aroldis Chapman Bobblehead Day, Gary Sanchez Bobblehead Day, Reggie Jackson Bobblehead Night, as well as Whitey Ford Bobblehead Day. Here is a look at the Yankees Bobblehead Giveaway Game 2017 schedule! Neither the Cincinnati Reds nor the St. Louis Cardinals were able to put away the San Francisco Giants when they had the chance. The American League champion Detroit Tigers get their opportunity beginning Wednesday, when they take on the National League champion Giants in Game 1 of the World Series at AT&T Park. San Francisco was on the verge of being swept by Cincinnati in the best-of-five NL Division Series before rallying to win the final three contests. St. Louis captured three of the first four games of the NL Championship Series before the Giants went on to become the 12th team in major league history – and fifth NL club – to overcome a 3-1 series deficit as they won the franchise’s 22nd NL pennant. San Francisco’s starting pitchers were outstanding during the comeback, allowing only one run in 20 1/3 innings over the final three NLCS games. The Giants, who are appearing in their 19th overall World Series, fifth since moving from New York to San Francisco and second in three years, will face a Tigers team that has been resting since completing a four-game sweep of the New York Yankees in the ALCS on Thursday. Detroit is making its 11th trip to the Fall Classic and first since 2006, when it lost to the St. Louis Cadinals. The Tigers have not won a championship since defeating the San Diego Padres in 1984. Manager Jim Leyland, whose roster includes reigning AL MVP and Cy Young Award winner Justin Verlander and 2012 Triple Crown winner Miguel Cabrera, said ALCS MVP Delmon Young will play left field in Game 1 with no designated hitter in the NL park. Young, who appeared in left field in only 31 regular-season games, batted .353 (6-for-17) with two home runs and six RBIs in the ALCS, recording the game-winning RBI in all four contests. San Francisco’s Marco Scutaro was named the NLCS MVP as he went 14-for-28 (.500) after hitting only .150 (3-for-20) in the NLDS. Scutaro, who was acquired from the Colorado Rockies on July 26, tied the LCS record with his 14 hits while setting an LCS mark with six multi-hit performances. 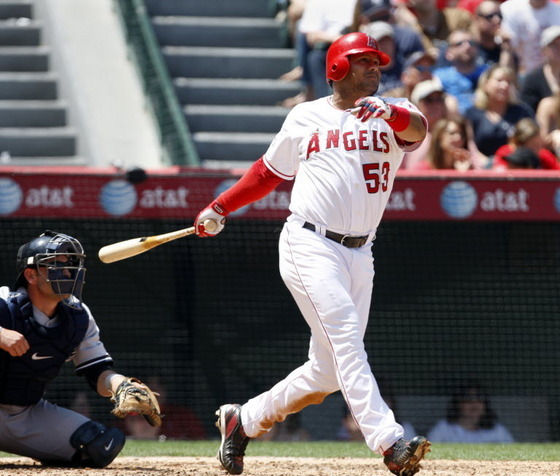 Los Angeles Angels of Anaheim is a team with a lot of outstanding players. One of these players is LaTroy Hawkins. 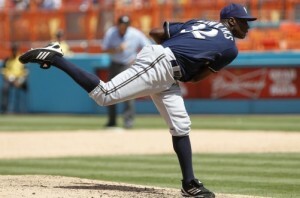 LaTroy Hawkins is a 6 feet five inch relief pitcher who is a right-handed thrower and also a right-handed hitter. He used to play baseball when he was in high school in Westside Gary, Indiana. It was in 1991 when he was drafted in the 7th round by the team of Twins in the amateur draft. He signed with the team on June 7, 1991. By then, he has his next four years playing in the team’s minor league system. In April 29, 1995, he has his first appearance in the Major League Baseball and it was challenging for him as the team faced the team of Orioles. However, over the next few years, LaTroy Hawkins was able to bounce between the big league club and Salt Lake of the Pacific Coast League, finally landing in his team’s bullpen permanently in 1998. And he was the opposing starting pitcher in the perfect game by Yankees pitcher David Wells on May of 1998. LaTroy Hawkins of the Los Angeles Angels of Anaheim was born on December 21, 1972 in Gary, Inidana. After eight seasons with the Minnesota Twins, LaTroy Hawkins moved to the teams of Chicago Cubs, San Francisco Giants, Baltimore Orioles, Colorado Rockies, New York Yankees, Houston Astros and Milwaukee Brewers before joining the team of Angels of Anaheim. It was one of the great career opportunities for Hawkins. The Los Angeles Angels of Anaheim and veteran reliever Hawkins agreed to a one-year deal worth three million dollars in December 2011. He was 39 years of age then when he signed with the team of Angels of Anaheim, entering his 18th Major League season. His past two years was spent with the Brewers, posting a 2.42 ERA in 52 appearances in 2011 becoming a key figure in the team’s runaway division title in the National League Central. LaTroy Hawkins continues to flourish with the Angels of Anaheim. In fact, this right-hander pitcher spends his time in the camp with the team of Los Angeles Angels of Anaheim which is his ninth team in ten glorious years. According to LaTroy Hawkins, joining and spending time with the Angels of Anaheim team is really fun among all of his stops along the way in his journey in the world of Major League Baseball. In addition to this he also stated that he is moving around the game, he’s playing with the greatest players in the world, and what excites him the most is the fact that he is almost forty years of age and playing a kid’s sport, anyone can’t beat that according to him. LaTroy Hawkins really enjoys being with the Los Angeles Angels of Anaheim team. Age does not matter indeed when you will embrace your passion and follow your dreams…LaTroy Hawkins saw this opportunity to flourish with the Angels of Anaheim. We have Angels Tickets for all home games at Angels Stadium. Surely, the Yankees do not need more great players to win, but it always pays to strengthen the team and that’s why the trade deadline of July 31st could prove to be an important one for the Yankees. Who could be the great pitchers for New York Yankees? Bruce Chen, the lefty of Kansas City Royals is a great pick for the Yankees. The only Yankee lefty is C.C. Sabathia and the team could very well do with one more southpaw. Chen is the best pitcher of Kansas City Royals and has an ERA of 3.26. During the first half of 2011 season, Aaron Harang has had a record of 7-2 and a 3.45 ERA. Harang could once top 200 strikeouts in a single season. His contract ends right after the season which makes him a great risk-free pick for the Yankees. Livan Hernandez is the half-brother of former Yankee, Orlando “El Duque” Hernandez who was World Series champion 3 times. Hernandez can string together about 4 or 5 outstanding starts and is just the pick for 2011. Wandy Rodriguez, the lefty of Houston Astros, is a great pick to fit the Yankee’s need for a second lefty in the team. Rodriguez has a 6-6 record and 3.52 ERA. He is 31 years old and makes a moderate investment for the Yankees for the future years. Like Rodriguez and Chen, Lilly is also a southpaw, much needed for the starting rotation of the Yankees. His career benchmark is 4.22 ERA and 119-105 record.